Chicken Pesto Burrata Naan Pizza with Fried Egg! When we became empty nesters, store bought rotisserie chicken became our best friend. Yep. It’s a lifesaver for busy couples because you can throw it into salads, quesadillas, sandwiches, wraps, pastas, and use it to top pizzas, like this Chicken Pesto Burrata Naan Pizza with Fried Egg! And because I use rotisserie chicken, this entire meal takes two people less than 10 minutes to make. Cross my heart and hope to not to die. And to add to all that good news, we are also offering a low carb cauliflower crust option you’ll love. Seriously, This is an Incredible Meal! I know this pizza looks unassuming, but it is packed with flavor. And it’s incredibly simple to make. Just use store bought naan, top with basil pesto (make your own or buy store bought), creamy dreamy burrata cheese, and rotisserie chicken. A few minutes in the oven and voila! A gorgeous complete meal in minutes. Top with a fried egg to take it over the top and then pile on the greens! I use arugula drizzled with olive oil and lemon and sprinkled with sea salt and pepper for added flavor and nutrients. Top that pizza with a heaping bunch of salad, then fold and eat. A complete meal pizza, who knew?! 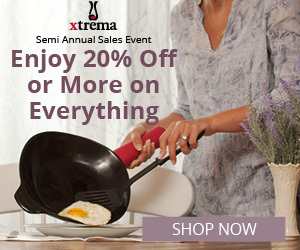 COOKWARE SALE! Get up to 65% OFF! The importance of that egg on top cannot be over emphasized. It really finishes off the pizza perfectly, adding to all the already amazing flavor! I will encourage you to keep the egg yolk runny. It’s the best! Using your naan to wipe up that yolk is heavenly. But if you are like my husband and prefer it cooked through, then I say go ahead… I guess. After 37 years of marriage I have learned just to just let it go. Even though it’s obviously better my way. If one person makes this meal, it’s fast. If two people do, it’s lightening fast! That is if lightening took 8 minutes to make… Here’s how you do it: One of you preheats the oven and shreds the chicken, while the other spreads the pesto on the naan, then you can both add cheese and pine nuts to your liking. Pop it in the oven and while it cooks, one of you will take care of the salad while the other fries the eggs. Kitchen cooperation makes the meal taste even better. Wanna Make Your Pizza Low Carb or Gluten/Grain Free? If using naan is a little too high carb for you, or you prefer to skip the gluten and grains, we have found a great alternative! Cali’flour Pizza Crust works amazingly well in place of naan and just take a look at the label below. Yup, only 60 calories and 1 net carb per serving! (If you want to buy Cali’flour Foods Pizza Crusts use the discount code theorganickitchen at check out to receive 10% off orders over $50) Trust us, you’ll never miss the bread because this Cali’flour Pizza Crust is just as lovely, satisfying and delicious. What To Do With The Leftover Burrata and Pesto! Linguini with Basil Pesto,or Chicken Burrata Pesto Grilled Cheese Sandwich and Salad! The Recipe: Chicken, Pesto, Burrata Naan Pizza with Fried Egg! Tips and what you will need: a good egg frying pan, store bought naan, pesto make your own or buy store bought, as always a good quality knife with a full tang blade! Chicken, Pesto, Burrata Naan Pizza with Fried Egg! A quick, easy, delicious complete meal pizza in minutes! I can only eat one of these, my husband can knock down two. If you can't find burrata cheese, use fresh mozzarella. This recipe can be made in the oven or on the grill. Remove pizzas from oven, top with fried eggs, slice, pile on the arugula, fold and eat! This is such a clever delicious meal! Am pinning it so I don’t forget to try it! I can guarantee this will be one of my favorites! I love naan and all of your ingredients used are SO good! Thanks…lot of my favorites too, especially that egg! This looks light and healthy! Pizza night is a must every week! I love trying new pizzas! Fun. I love that you have pizza night every week! Oh my gosh, these look truly delightful. And so easy to make! Agree, keep the egg yolk runny. Is there anything that DOESN’T taste better with a fried egg?! Love it. You had me at pizza! YUM!